You better bet it`s only the Best. We have worked with all air conditioning brands you can think of and let me tell you we have seen almost everything. We only offer products that are the highest on its class. Trane HVAC Installations the mother of air conditioners the best brand we can recommend. It gives you what it promises and we have very little customers that call because their American standard broke. Please believe that their warranty is also the best 10 years what more is there to ask. Air Conditioning Installation Done The Right Way! 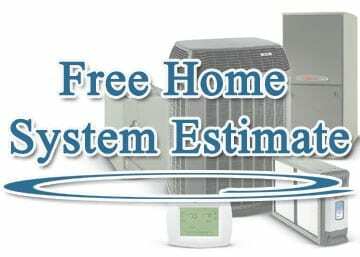 We Use the most advanced programs technology has to offer up to date to correctly size and evaluate your home for the correct air conditioning installations. With over 10,000 air conditioning installations on our resume you better bet we have the experience and knowledge you need. CJ Air Solutions your air conditioning installation will be done right per manufacture specification as well as city code regulation for HVAC installation. Even with the best air conditioning and heating products that are reliable and efficient, proper installation is critical to keeping you comfortable. Our guarantee consists on One year customer satisfaction. Which means is any part installed by CJ Air Solutions fails we will fix it no questions asked. Beyond HVAC installation, we offer a free preventive maintenance program you can count on to keep your system running at peak performance. So if your ac systems installation even thinks of giving you any issues is our problem not yours. Event the smallest increases in energy efficiency will turn into big saving this hot Summer. Yes We Have Your Size! When you’re frustrated with an HVAC equipment break-down, it can be tempting to find the least expensive "quick fix" to get on with your life in relative comfort. That "quick fix" may be the least expensive now, but it may not give you the most value or cost you the least in the long run. Paying for air conditioning repairs to an old or inefficient HVAC system often simply prolongs the inevitable. It’s almost like putting a bandage on a serious injury. An older AC system that breaks down once is likely to break down again and again. That means more emergency service calls or, worse yet, the risk of damage to your home or to other components of your heating and cooling system. Replacing your old furnace with a new higher-efficiency model but leaving your old mechanical thermostat in place, for example, won’t allow you to enjoy all the efficiency advantages the furnace has to offer. Likewise, if you install a new furnace but don’t get a humidifier, the air will seem cooler, forcing you to operate your new system at a higher temperature to be comfortable. 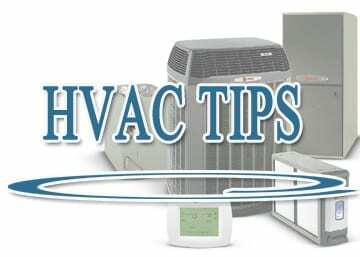 Plus, you can often save on HVAC installation costs if you have several components of your HVAC system (for example, a furnace and an air conditioner) replaced at the same time. What kind of Air Conditioning System do I need to keep my home comfortable?